Blocking someone unfriends or unfollows that person and it also provides extra protection. People you block can’t view your profile, start conversations with you or tag you in posts or pictures. Once you block someone, you won’t be able to see their posts or start a conversation with them, and they will NOT be told that you blocked them. 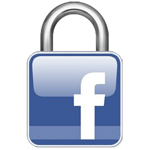 Click the lock icon at the top right of any Facebook page. Enter the name of the person you want to block and click “Block”. Select the person you want to block. Tap the person’s username to open their profile. Tap the “…” icon to open the dropdown menu. Tap the name of the friend/person who is harassing you. Hit the gear icon that appears next to their name. Select “Block” to stop receiving Snapchats from that person or pick “Delete” if you want to remove them from your contacts. Click or tap the gear icon on their profile. Select “Block” from the menu. If your account is public, the person you have blocked may still be able to see your information, or make a new account to bother you again, so changing your privacy settings might be your best bet. If your harasser is showing no signs of giving up, try checking out Cyber Stalking to get some tips on how to deal with them, and remember, if anyone has made any threat to your life and/or safety – you have every right to report it to the police.